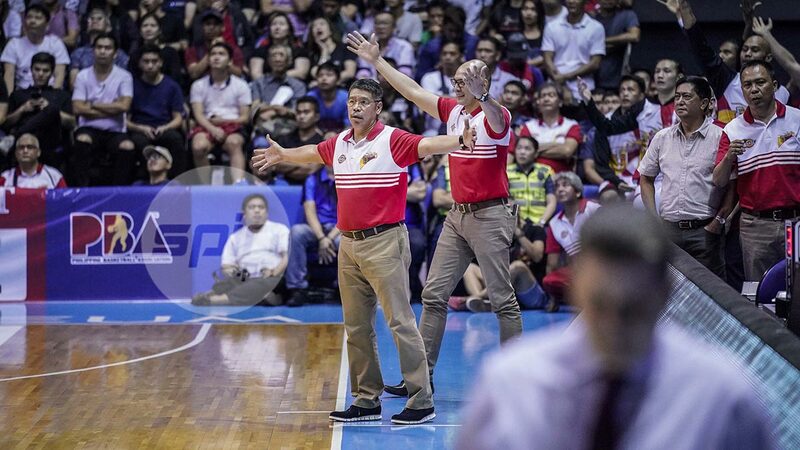 SAN Miguel coach Leo Austria refused to pin the blame on officiating even if a number of questionable calls marred the Beermen's 87-83 loss to Ginebra in Game Five of the 2018 PBA Commissioner's Cup Finals on Sunday night. A number of questionable calls left SMB fans fuming in the endgame, particularly non-calls on what they felt was Scottie Thompson stepping out of bounds in a rebound battle with Arwind Santos and Justin Brownlee committing a traveling violation on a drive that led to a Thompson go-ahead basket. Austria, however, refused to delve on the calls, saying the Beermen still had a chance to win it in the endgame. The SMB coach sounded more frustrated that he wasn't able to plot a play in the Beermen's final timeout of Game Five because the players, notably Renaldo Balkman, spent the time complaining about the calls. “Some of the players were complaining because of fouls. And even on my last timeout, I wasn’t able to give instruction because they kept on complaining. The time expired," admitted the many-time Coach of the Year awardee. “Everybody has his own opinion. He is the one playing there. He feels there were non-calls. They can feel it. They experienced it inside eh. It’s beyond our control. I’m not blaming anyone because we still had a chance to win the game and make that last possession,” said Austria. With the Beermen trailing 2-3 in the best-of-seven series, Austria said the Beermen will be on survival mode in Game Six on Wednesday at the Mall of Asia Arena. “Although Wednesday could be the end of the conference, expect us to bounce back. But you don’t know what will happen. If I were in the position of Ginebra, of course, I will do everything to finish the conference,” said Austria.